AMF's net distributions continue to grow and with this comes the need for us to analyse the data we receive to ensure every distribution has the maximum impact. 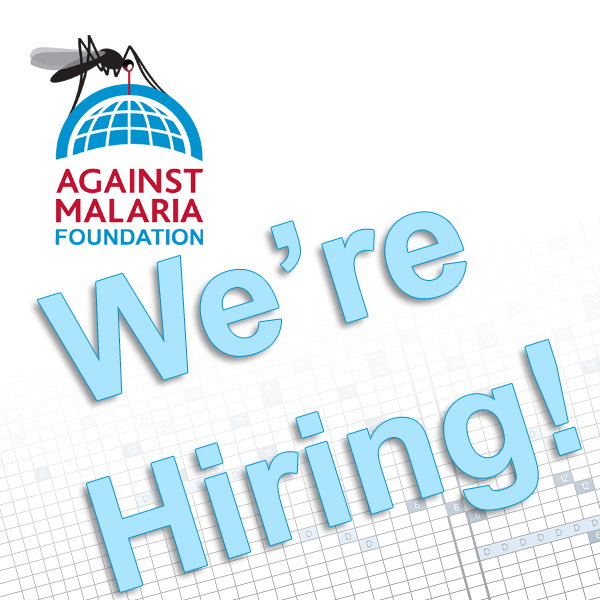 We are now seeking exceptional candidates for the role of Data Analyst. Reporting to AMF’s Operations Manager, and working closely with all the other members of the AMF team, the successful candidate will have strong technical skills but also be open, collegiate and enjoy working in a small, highly impactful team. The Data Analyst will have exceptional organisational and analytical skills, together with a bias for identifying and solving issues. They will have strong attention to detail and excel capability, appreciate the importance of visual presentation of material for clarity and an interest in using data to improve health outcomes for the poorest communities. They will be comfortable learning about financial matters, and be willing to examine budgets in detail. The current members of the AMF team are based in their home offices, and it would be ideal if the Data Analyst is able to do the same. The successful candidate is likely to be in the UK/Europe/Africa time zones.